This is part two of our weekend of Merry Making in Studio #109. For those who would like a break from the kids or do not have kids, we will be hosting a kid free day bursting with holiday themed workshops and crafts, plus the opportunity to shop and sample our paper goodies in person. RSVP now as spaces are limited. This day is part of an optional 2 day event. 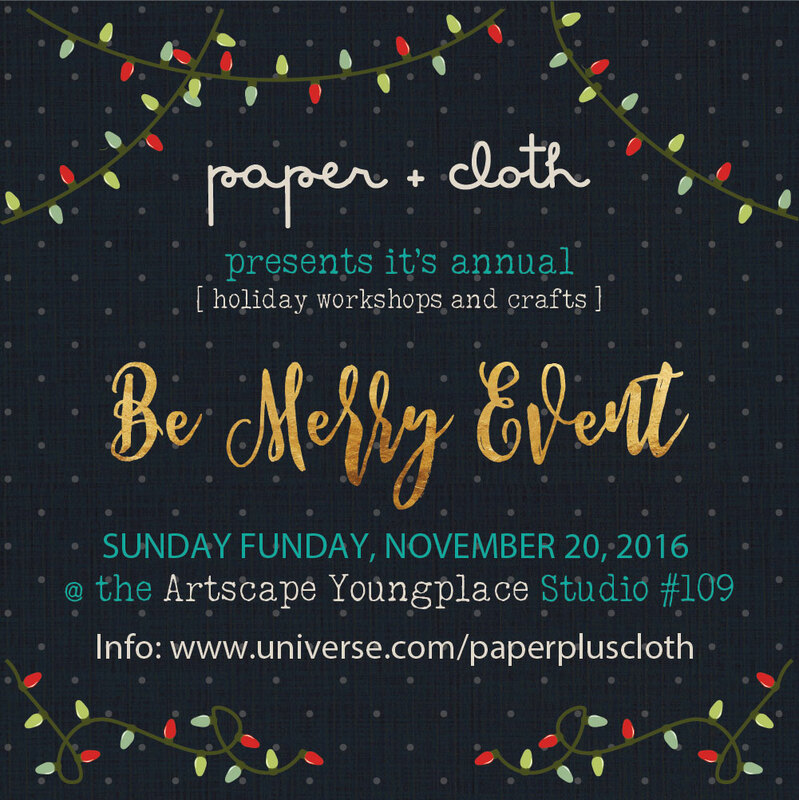 For more details visit: www.universe.com/paperpluscloth-be-merry-2016 or click on the event link below.